The dramatic presence on a prominent corner combined with a contemporary design creates a viable, efficient and exciting building that fits in the context of the emerging North Loop neighborhood. 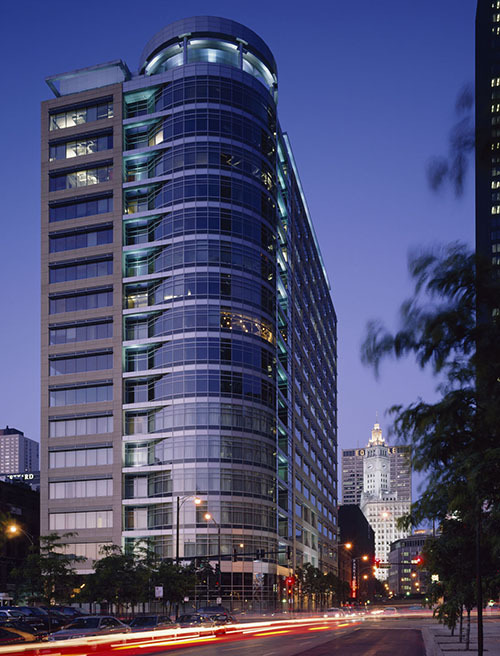 The 17-story office and hotel tower features efficient floor plates and the latest mechanical and information technology systems to meet the needs of today’s tenants. The depth of the site at 100 feet posed the greatest challenge. 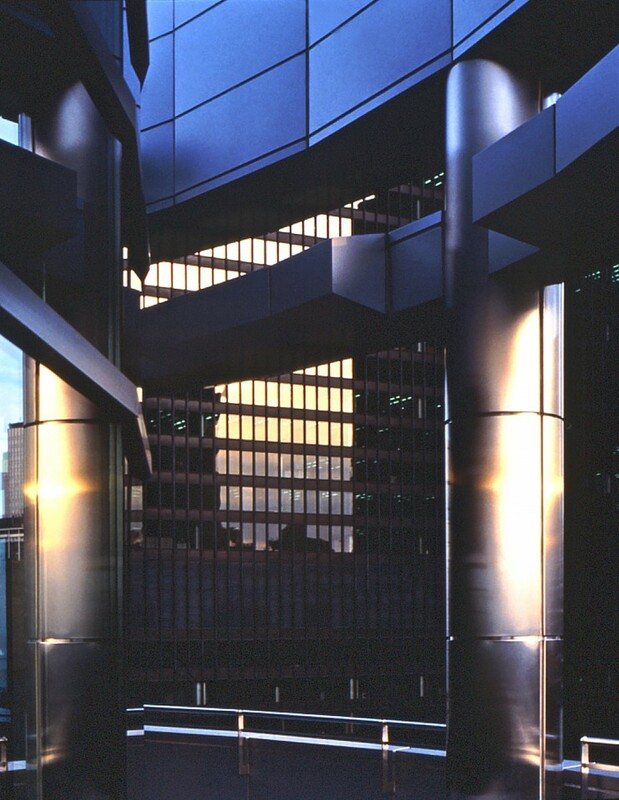 A slender core configuration preserves market standard depths while a series of stepped cross-brace frames protect the building from wind load capacity. Context also shaped the design consisting of an interplay of objects and planes. The site is in a vibrant, mixed-use neighborhood with a range of architectural styles and mostly low-rise loft buildings. 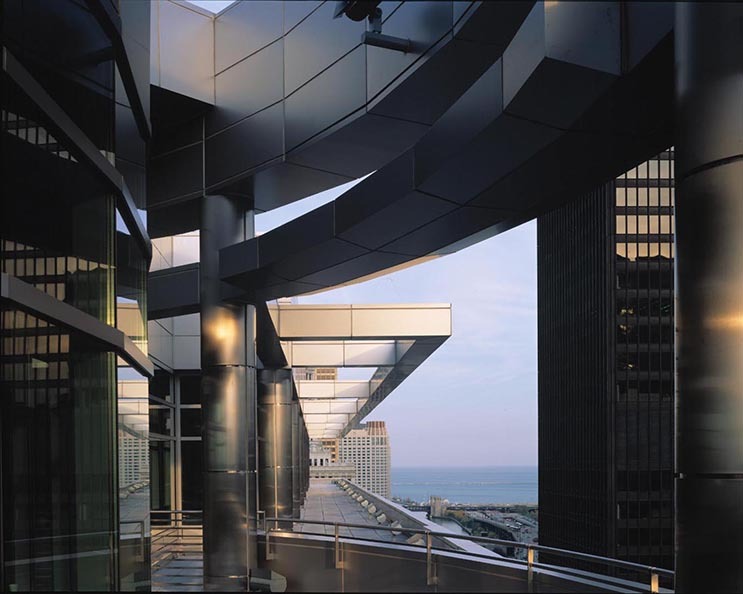 A clean Chicago School frame of limestone colored concrete ‘clips’ over a silver metallic curtainwall and clear glazing. 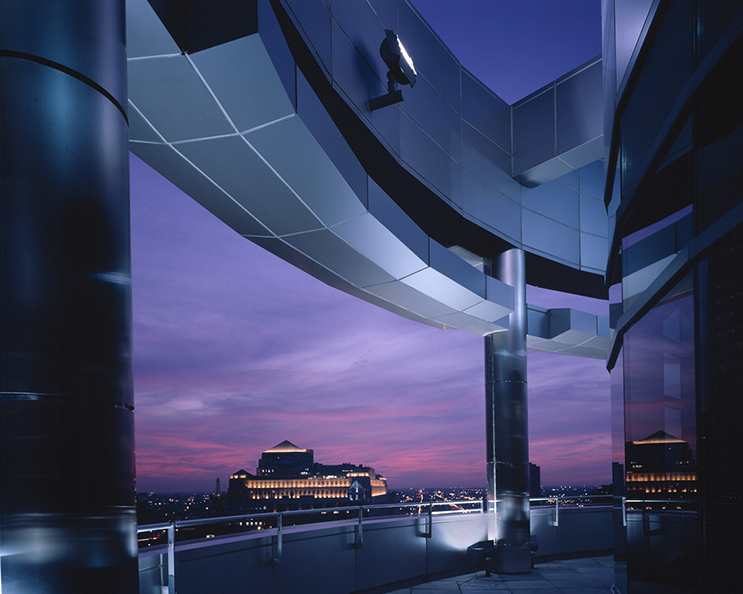 Sun shades add surface texture and help to reduce heating loads, while contributing to the building’s contemporary expression. 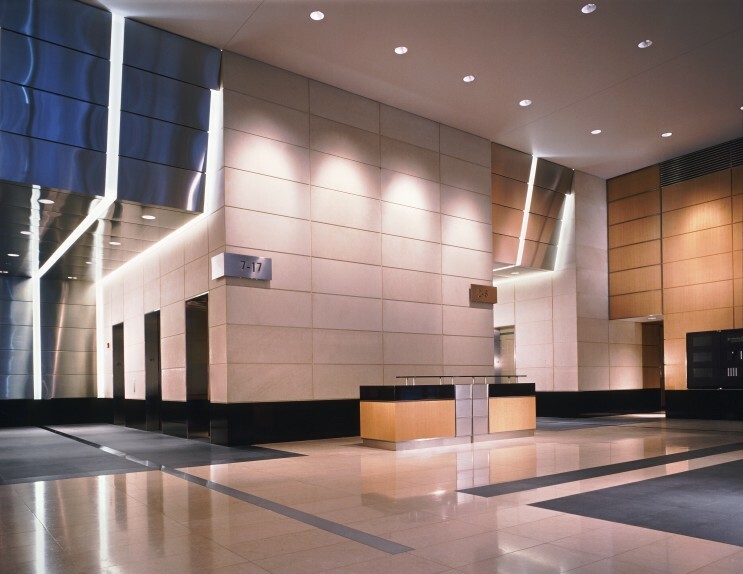 The floor plates are column-free, perfectly suited for today’s open plan office environments, and the large expanses of glass permit natural light to penetrate the building.